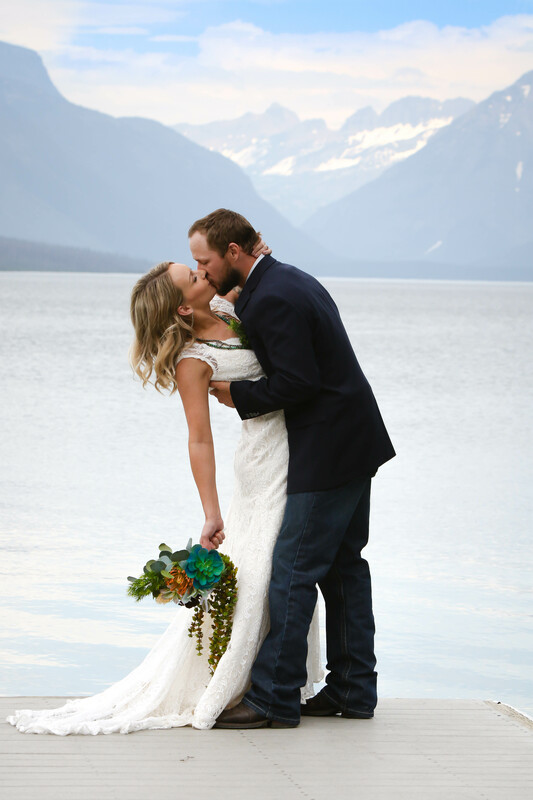 Glacier National Park has to be one of the most magical locations for a wedding. It happens to be my favorite spot to take photos, whether it is a wedding, family portrait or pictures of my family adventuring! 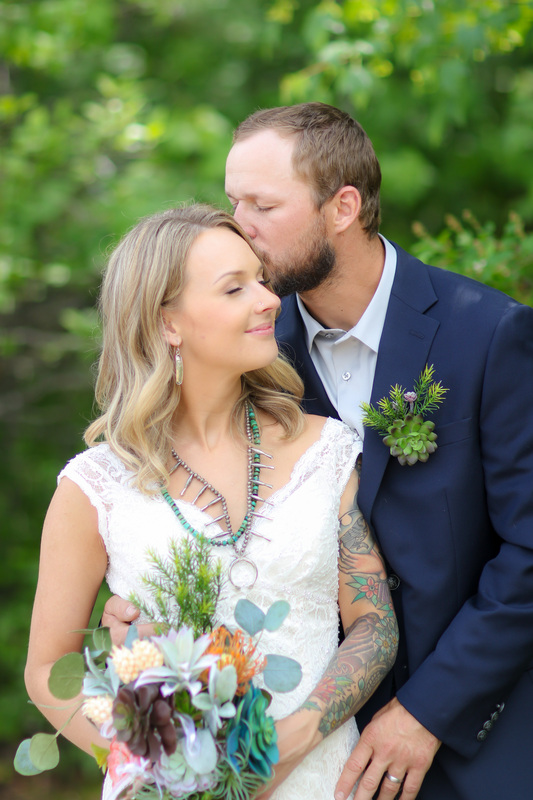 Hillary and Tanner from Boise, Idaho chose this beautiful place to tie the knot for their destination wedding in Montana. And better yet, they chose Mountain Life Photography to capture the day! Glacier National Park did not disappoint. The views were outstanding, the mountains majestic and the love was in the air! The love and respect these two have for each other was undeniable. I have never seen two people so patient, kind and respectful of eachother. Preparations began at 10 am at a quaint cabin on Spoon Lake outside of Glacier National Park. Everyone that attended the wedding was also staying at the cabin so you can imagine the cabin was alive with energy when I arrived! Hillary is a natural beauty! She got ready faster than any bride I have ever seen- and she looked AMAZING! The ceremony began at 11 am. Although there were only 13 people and 2 dogs at the ceremony, this group had some energy and spirit and it felt like a huge celebration! Hillary's mom and brother walked her down the aisle. Her dad was the officiant. As she walked down the aisle, Tanner's smile was heart melting. After the ceremony there was a lot of laughing, cheering, toasting and smiling! This family knew how to celebrate! The lighting was amazing creating rich colors in the forest and brilliant exposure on the lake. I was in heaven! Following the fun family photo session Hillary, Tanner and I set off to Glacier National Park for some fun and adventurous photos! We started at Lake MacDonald and we arrived to a ghost town! What luck. We had this amazing backdrop to ourselves. These two lovebirds did not need much instruction on how to be in front of the camera- they twirled and kissed and danced themselves down the dock laughing and smiling all the while. We ventured over to the picturesque Belton Bridge in West Glacier. The historic Belton Bridge was built in 1920 over the Middle Fork of the Flathead River. For decades, it was the primary entrance into Glacier National Park. I love photographing here. Every direction is gorgeous. Kelly - Polly you are absolutely the best!! What a beautiful day it was. You captured it all!! Thank you so much for your talent. I will cherish these pictures forever.